A mechanical engineer with an MBA (marketing), with more than 14 years of experience in the corporate world and education sector. He is the moving force behind several pioneering initiatives in the education market. He is a renowned speaker in Indian academic circles and has trained thousands of students, teachers and corporate executives. An MBA with a Ph.D in management, an able administrator and expert in school education. He specialises in conceiving, conceptualising, developing educational institutions, products & services. He has a 360 degree experience of Marketing, Academics, Administration and Business Development. An expert in the field of school education and marketing. A science graduate with a degree in management whose goal is to make learning an easy process. He is the man behind development of ‘KG-Pro’, ‘MathEmagic’ and ‘Science Explorer’. These programmes have enhanced the quality of education, touching the lives of thousands of students. Mrs. Sudha Mathur, an alumnus of Convent of Jesus & Mary, Ambala Cantt is Masters in English and B.Ed. from Kurukshetra University. After receiving comprehensive grooming in Christian values Sudha Mathur has contributed over 30 Years to education as an administrator and educator. 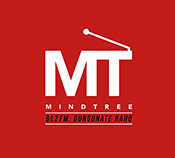 She was founder principal of Mind Tree Sector 1 and is currently heading Mind Tree Panjokhra. Mrs. Mathur is dedicated to growth of life skills and moral values in her students passionately. A science graduate with B.Ed and Masters in Yoga Philosophy. With a passion for teaching, she has experience of more than 3 decades in various capacities throughout India, most of it from a prestigious school in Mumbai. With a sound background of Child Psychology and Counselling, she firmly believes in nurturing children with utmost love and care. Ms. Harveen Kaur (M.A. English , B.Sc. , B. Ed ) an alumna of the University of Kerala and Punjab University, she is a committed educationist with a strong penchant for academics and a passion for quality, innovation and excellence in education . Her exposure to the myriad hues of Indian culture across various parts of the country , has been instrumental in shaping her vision of education . She looks forward to leveraging her extensive experience with premier schools in guiding her team of staff and students towards higher achievement. She believes that while its important to teach children , its all the more important to inspire them to learn. A Masters in Geography and a postgraduate in School Leadership, Mrs. Pushpa Sharma has 17 years of teaching and administrative experience in some of the best schools of the country. Owing to her strong army background, she has widely travelled and has been exposed to the best teaching - learning pedagogies in a number of schools. Mrs. Supriya Kaushal is an alumnus of the prestigious Auckland House School and St. Bedes College, Shimla. She is a graduate in Education as well as Law and has a postgraduate degree in English. She is an exemplary speaker and an educationist with many years of experience in the field of education. During her career, she has been a teacher in various schools of Chandigarh, Ambala and Nahan. Ms. Gulshan Dewan, (M.A. Eng, B.Ed), an alumna of Guru Nanak Dev University, Amritsar is the Founder Principal of Mind Tree IIT Mandi Campus School. She has amassed 40 years of professional acumen in teaching, administration and management of vast team of teaching and non-teaching staff of various prestigious senior secondary schools in Punjab and Haryana. She is a visionary with a strong determination, dedication and devotion to translate vision into reality besides creating and monitoring practices and policies. She has been an inspiration to the staff, community and students with her energetic, positive and resourceful leadership. She is a proud recipient of Life time Achievement Award, Rajiv Gandhi Education Excellence Award, Paul Harris Fellow Award, Inspiring Educationist Award, Bharat Vibhushan Samman Puraskar and many more in appreciation of tangible and outstanding contribution to the society. 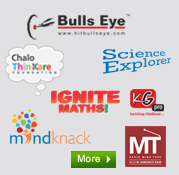 We can proudly state that Mindtree schools are home to some of the best teachers in the region. The new class of teachers at Mindtree underscores a new approach towards children and education. Each faculty affiliate is both a tutor and a friend, and a specialist in her own field. They form the spine of the school and with affection, care and selfless service make the environment 'A Home Away From Home'. Each staff member imbibes the Mindtree ethnicity and ethos, which is the cord that binds the entire teaching sorority into a team.